Episode 396: Get your hands dirty, with Stephen Woessner. Good Morning, Onward Nation — I’m Stephen Woessner, CEO of Predictive ROI and welcome to this week’s solocast. Can you believe it? In less 4 days — we will ring in 2017. My hope for you is that 2016 was your best year yet. That 2017 will absolutely blow your accomplishments from this year out of the water in every way that matters to you. That you will be able to enjoy all of the freedom that running a successful, predictable, repeatable, and profitable business should afford you, your family, and your team. Which if you just had a great 2016 — or maybe you didn’t — making 2017 your best year ever will be a tall order. To be successful…you and your team will need a strategy coupled with a practical and tactical execution plan for you and your team to follow. You may need an even heightened level of focus on who you should be serving. Who are the customers and prospects in your current sales pipeline? Are they companies who you most want to serve? Do they represent your Dream 50 clients? If not…adjustments need to be made. And once the adjustments are made — you need a system that consistently adds value to what the companies within your sales pipeline — within your Dream 50 — are trying to accomplish in 2017. Over the next several weeks, I am going to use my weekly solocast to answer these questions and guide you along the path to creating the strategic plan you and your team need. I will share insights, step-by-step detail, recommendations, and system execution processes in full transparency as always — all within a practical and tactical 4-part series that you and your team can immediately apply. My hope is that the result outcome for you is that you will be able to fill your sales pipeline so you and your team have more revenue opportunities at your fingertips than ever before — and those opportunities are with the type of companies you most want to serve — your Dream 50 clients. Over the next four weeks…you and me…we are going to get our hands dirty, together. We are going to get into the trenches to not only fill your pipeline — but — to demonstrate with excellence to your team members how it should be done so they can model your behavior going forward. This level of hands-on leadership — as you push for new heights — is critically important. Because how can your team do more if you have not shown them how? So…in turn…I will show you where you can dig in your business to find gold — to go an inch wide and a mile deep to strike oil — to find the data points you need to make great decisions — and all along the way — to be able to look your team members in the eye with confidence so they can see how the business is moving forward. When you jump into the trenches with your team due to deadlines — due to a large number of orders that need to be shipped — due to some problems with key clients — whatever the reason — your actions in those moments demonstrate how important it is to create big wins for clients. And…even more importantly…your actions demonstrate that you have your teammate’s back — that you will not let them down — that they can count on you when the going gets tough. That they can count on you to take care of them while taking care of customers — with excellence. This level of leadership should be one of your most vital priorities in 2017. There is no better team building move a leader can make like stepping out of their executive office, rolling up their sleeves and riding with the sales team, making presentations to prospective customers, call customers, making deliveries, or shipping orders when there is a backlog. To be clear — I believe in delegation — I absolutely do — it is a key ingredient to scaling a business. And here at Predictive ROI, my content marketing and lead gen agency, my leadership team and I stress delegation, we support and fund personal development for all our teammates, and each of us pushes one another whenever possible to grow and develop. Doing all of this is a key to scaling. But, getting my hands dirty with the practical and tactical is something I love to do — I love to solve problems — I am driven by it. I love jumping into the trenches with my team to work alongside them — to look them in the eye when we are faced with a big challenge so they can see my confidence and how much I believe in them. It is part of the entrepreneurial DNA that I was blessed to receive my family — and — it was honed to a razors edge during my enlistment in the United States Air Force. 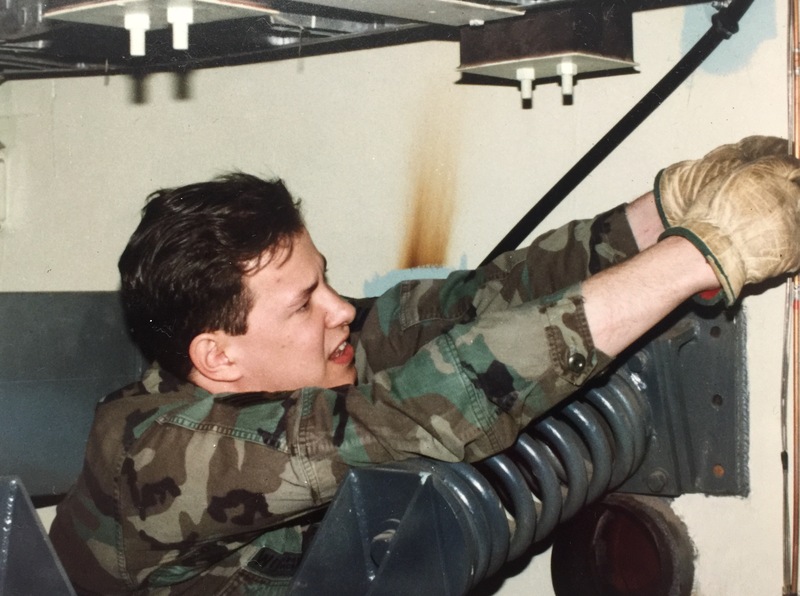 At the close of each day in the Air Force, I was typically covered in diesel fuel, brine, grease, battery acid, cobwebs, and dirt from crawling around the floors inside the 150 nuclear missile silos where I performed hundreds of maintenance procedures as part of a team. 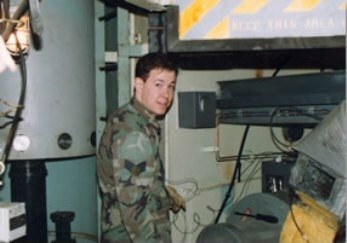 During my enlistment, I was stationed at Ellsworth Air Force Base near the Black Hills of South Dakota — the prairies were my commute to my office — and my office was 1, 2, or 3 Minuteman II ICBM nuclear missile silos each day that I served. And I loved every second of it. Most days were like 100 percent pure adrenaline, Onward Nation. And it was in those days — where my team and I worked our guts out — where we stood fast in the face of numerous technical challenges happening concurrently, in the face of impossible timelines and pressure, and the ebb and flow of an ever changing schedule — but — when we successfully navigated it all — when we got back to our base following a 17-hour shift — and debriefed with our supervisors — we felt a major sense of accomplishment. We did it. And we did it with excellence. There was no finer feeling after a hard day of slugging it out in the trenches then being able to look back on what we had done along the way with pride. That what we had just done — really mattered. So let’s bring this back to the leadership lesson I want to make sure you take out of this solocast. When we were working within a missile silo…one of the things we enjoyed most was when our supervisors and leadership from our squadron paid us a visit. Sometimes as a complete surprise. Our field supervisors wanted to inspect what they expected — to watch us perform while we were knee deep in problems inside a silo. It was nerve racking to be sure — because we didn’t want to make a mistake — but — sometimes, one of our supervisors — all former technicians themselves — couldn’t resist the temptation to jump into what we were working on so they could get some grease on their hands — to help us save time — or to provide us with a teaching moment and mentorship to make us better for our next dispatch. For example, one of our supervisors might jump in and operate a crane while we were replacing a brine chiller — or help drive one of our maintenance trucks if we were short handed. What we did on a day-to-day basis was dangerous, Onward Nation. There were significant risks. We were working six feet away from a nuclear missile inside a buried silo — for 17- hours at a time. And as you might imagine, our stress levels could rise pretty quickly within the team — so we had to keep our cool through solid communication and leadership. So, seeing the willingness of our supervisors to jump in when they didn’t have to was inspiring — it was motivating — it was awesome seeing them get dirty right alongside of us — they looked us in the eyes and gave us courage that we could get the job done and get the heck home to our families — safe and sound. You and your team, Onward Nation, may not be working inside a nuclear missile silo — but — if you, as a leader, jump in — with the heart to help and not micro-manage — to be a resource — to share your insights and experience — to be in the trenches — to look them in the eye so they know it will all be okay — your team will love you for it — and that momentum will carry you to new heights in 2017. So that is why over the next several weeks, you and I will be in the trenches together. We will get our hands dirty — together. You and I will get tactical on the curriculum I prepared for you — the step-by-step details along with the metrics you can use to ensure your team is on-track. January is a perfect time for you to jump in with your team — to get your hands dirty — to pull some levers and let your team see how much you care — put in the hours — to build the business — together. The first practical and tactical lesson I am going to share with you is how to define your client avatar so you know exactly who should be inside your sales pipeline. It is impossible to answer the question of “Who do we want to serve” if you have not completed the exercise. Or, if you have already completed — like my Predictive ROI team and I did a year ago — it is likely time for you to rinse and repeat the exercise just like we finished doing ourselves. And low and behold — we discovered that over the last several years — a shift had taken place. That was exciting to see — so we pivoted — and made our sales pipeline much better as a result! Yes, the exercise is hard work. It can be time consuming. You and your team need to challenge yourselves and not accept surface answers. But the reward is high. Because not getting your avatar right can be one of the single biggest and most expensive mistake business owners make — not knowing who to sell to — or why they choose to sell to one customer instead of another. Before we jump in — I want to offer up a couple of warnings. This recipe represents such a significant opportunity for you and your business because only about 2 percent of the business owners listening right now will take action on the steps I share. Onward Nation, you may nod your head in agreement when you hear this recipe — you may even take some notes – or even share this episode with a colleague. But ultimately, your inaction will signify your acceptance of operating your business at the status quo — instead of at the level of excellence. Please don’t let this be you, Onward Nation! Don’t fall into the trap of procrastination. My hope for you is that you will take the notes – have the discussions with your team — and then put the steps into action — swiftly. That is how excellence is reached. Let’s dig in by starting with a question. What’s the number one reason people buy anything? I will give you a hint. It has nothing to do with the features, advantages, or benefits of the product or service. In fact — it has everything to do with just one, four-letter word. The only reason we buy anything is because we HOPE that tomorrow will somehow be better than today as a result of buying the product or service we are considering. So in order for you to fill your sales pipeline like never before — perhaps your goal is to 10x your pipeline in 2017 — you need to understand how to make an emotional and empathetic connection with your prospects and customers. You do this by becoming a HOPE Dealer to your customers. Let’s take this a little bit deeper with another question. What percentage of people make a purchase decision based solely on emotional reasons? Would you guess 20%? 30%? Maybe even 50%? The answer is 100%. Yes, 100%. Now, we like to think we are such rational creatures and we only make decisions based on objective data and thoughtful analysis. But the reality is that all of our decisions — yes, 100% of them — are made for purely emotional reasons. And if you go back to Episode 392, our amazing guest, Dave Hoffeld will share the science behind selling and the emotionality of the decision making process. He is brilliant. And because this percentage is so high — you and your business must become HOPE DEALERS to your customers. You can do that by connecting on an emotional and empathetic level with your “client avatar”. You can do this by understanding their challenges. You can do this by understanding their pain points. You can do this by going beyond demographic and economic data by metaphorically “Laying in their bed at night” to understand what is causing them pain…so you can get into the hearts and minds of your customers and prospects. You need to understand the last thing they think about before they go to bed — and — the first thing they think about when they wake up in the morning. Every piece of communication you send to your customer and prospect lists needs to speak directly to what we like to call your customer avatar. You should give your avatar, him or her, or both a name. As if you were having a one-on-one conversation with them…right now…just you like and I are having…right now. Again, as you and your team work through the 10 specific questions I am about to share with you — don’t allow surface answers — challenge yourselves to dig deep and push to find specific examples of situations that either reinforce or contradict what is currently believed to be true. Question 1: what things are challenging our customers right now? Be careful here — because this question does not have anything to do with challenges your customers may or may be experiencing right now in working with you. Instead, think about it from the perspective of when your client wakes up — what challenges concern them about their business and in moving their business forward. Question 2: what are our customer’s emotional fears or worries? Again, from the perspective of them running their business — not fears or worries as it relates to their working relationship with you. Question 3: what are their dreams and aspirations? What would need to happen in 2017 for their company to have their best year ever? Question 4: what are their pain points? What are the challenges that really cause them pain — is it a distribution channel — is it a dealer network — is a supplier? What is it? Because if you can solve that problem — you will be hero in 2017. Question 5: what are their values — and are their values the same as yours? This is key because it helps to determine if your two companies will be a good fit working together — or will you end up being at odds and fighting. Ugh. Who wants that? There is an abundance of opportunity in the market, Onward Nation — you do not need to work with companies whose values are incongruent with your own. Question 6: who do they want to impress the most? If you can help your clients look good in front of who they want to impress — well — they will love you forever. Question 7: what frustrates them about our industry? This question is indeed about you — actually — about you and your industry as a whole. And if you know the answer to this question — you can change and pivot to create distinction from your competitors — and in the process — appear to be that beacon in the night for your Dream 50 prospects. Question 8: what do they want from our business? Or perhaps said in a slightly different way — how can you best add value to them? Question 9: what’s the one thing — or result — that if you could guarantee — your customers would pay a premium for? BOOM! Probably enough said there. But, please remember, your client avatar is one person. Not an email list of 20,000 people. One person and you should give him or her a name, a personality, you hang a photo of her on your conference room wall, and every time you write an email campaign, shoot a video, etc. you speak directly to your avatar. Here, I will take you inside Predictive ROI to illustrate this point. Our client avatars are “Harry” and “Sally” (we chose those names because When Harry Met Sally is one of my favorite movies of all time). All of our conversations with Harry and Sally are personal — they are emotional — and they are always authentic. And Sally has said to me…“Stephen…I want to trust you…that you can do what you say you can do…show me the evidence quickly that it is working and that you are delivering on your promises”. And Onward Nation, during more than one presentation to a prospective client, “Sally” has said to me – “My goodness, that’s me!” It is magic when that happens because I know we just made a powerful, emotional connection with Sally. But for your team to get this process right — they need you. They need your leadership — they need you to push them — they need to see the importance you give the process by jumping in and getting your hands dirty. Just like my field supervisors did for me while we were out working on the missile silos in South Dakota. For next week…I will share several research tools you can use to collect the right detail you need to find the specific companies, and the decision makers within the companies, that match your client avatar so the result outcome will be a full sales pipeline as you head into 2017. We will be back tomorrow with an incredible interview with Daina Middleton — where she teaches how grit meets grace — and as a leader — the lessons we all need to apply in order to be more effective with our teams and customers. The conversation with Daina is powerful! You will not want to miss it, Onward Nation!